Beginning with LAKE4, Ziring classifies this as a "turky shoot", meaning that the ball is pretty much wholly in your court. 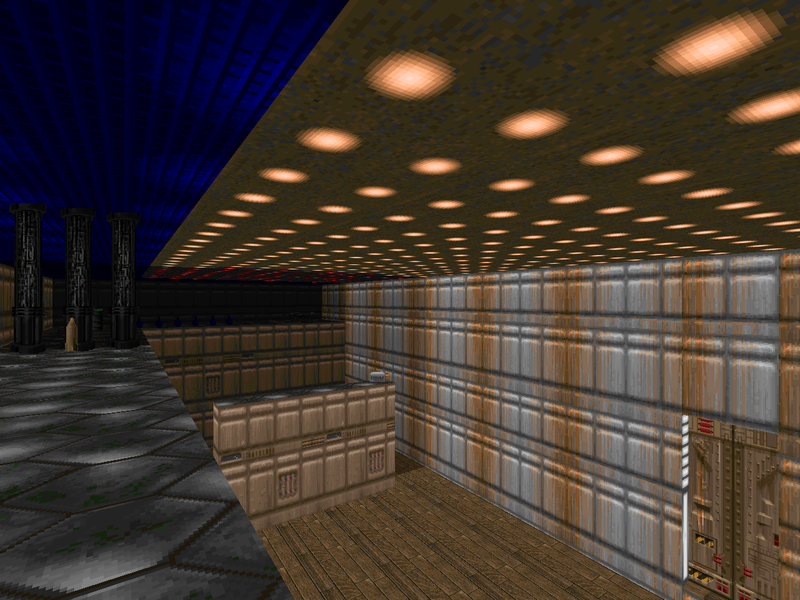 It's a very short, very unattractive map, being a tuned-up version of his very first PWAD (thought there's still a gross error on the west side of the rocket chamber, not to mention texturing eyesores). It's got an open central area, housing the eponymous lake, with a plasma rifle and tons of cell ammo. The swarm of cacodemons isn't much of a threat, nor anything else on the map except perhaps the two barons near the end. It's not a bad play, but it's essentially a historical curiosity. BLT is a WAD with some issues. The plasma rifle is necessary if you want a fighting chance, but it's not clear when it becomes available. 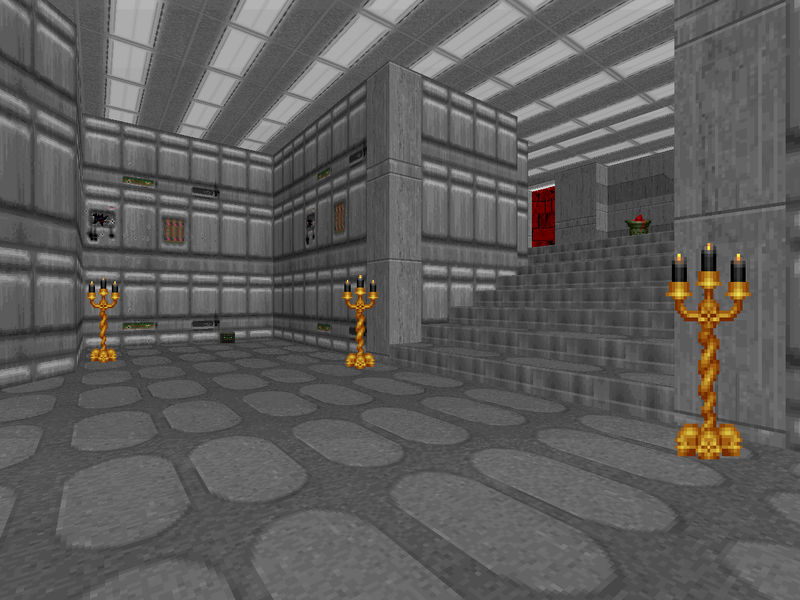 It's accessed via a teleporter at the level's beginning, though when the platform lowers, I don't know. When I gave the map another shot and managed to snag it, the doorway to the eastern portion of the level (and thus the rest) refused to open. 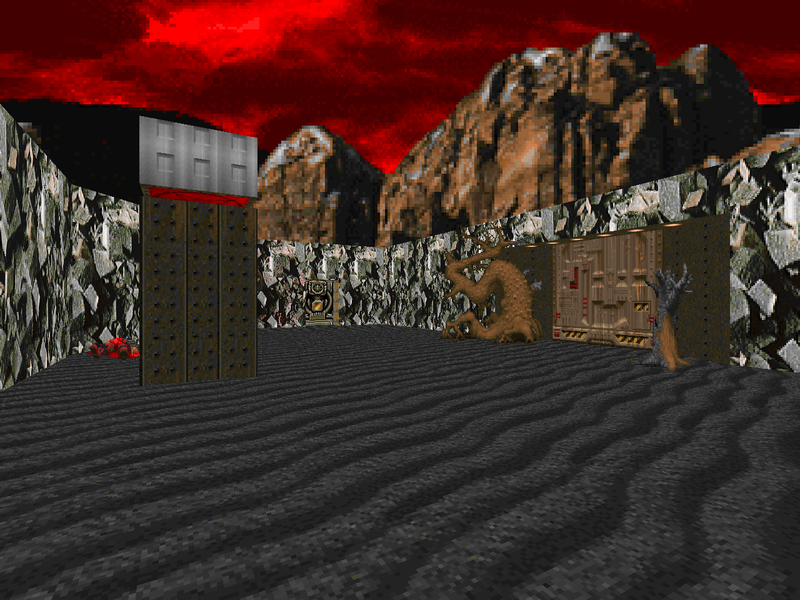 The level isn't unfinishable in such a state – a pair of walls in the central section are actually unmarked exit switches. It's all very confusing. If you intend to tackle this map as presented, I suggest you make liberal use of infighting, or you'll find yourself wanting for ammo in the latter portions. If you manage to get past these failings, it's a smorgasbord of texture themes. There's a concrete main hall, some dark deadly sewers, a larger tech-style area to the north, and more Hell crossover rooms to the northwest and west. I kind of like the staircase of the main hall, which leads up to dual balconies overlooking the obscure plasma rifle room. The enemy encounters usually come in hard to handle packs, due to the aforementioned plasma rifle problem. Things get a bit nastier toward the end using more and more barons. There are actually a lot of high-hp enemies to go around, part of the reason the weapon issue becomes so glaring. 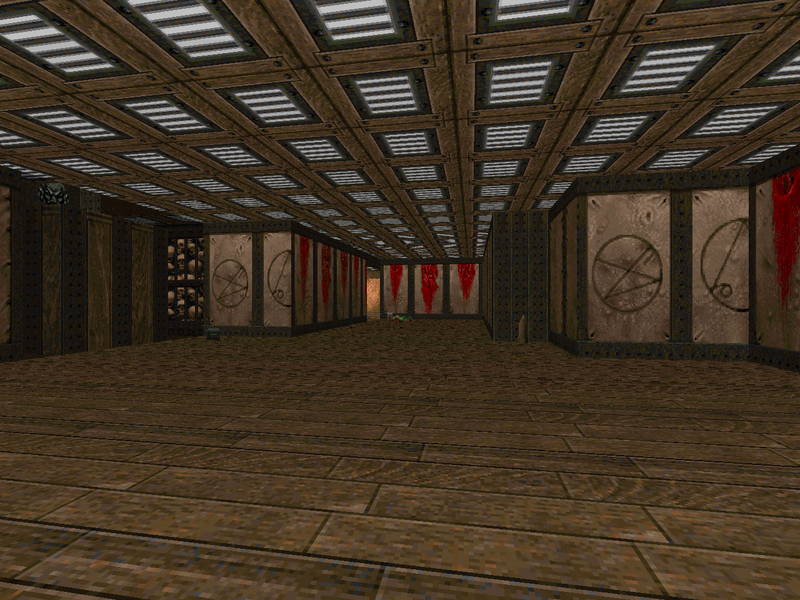 Ziring made better and more novel maps in '94, but it's interesting to see where he came from. 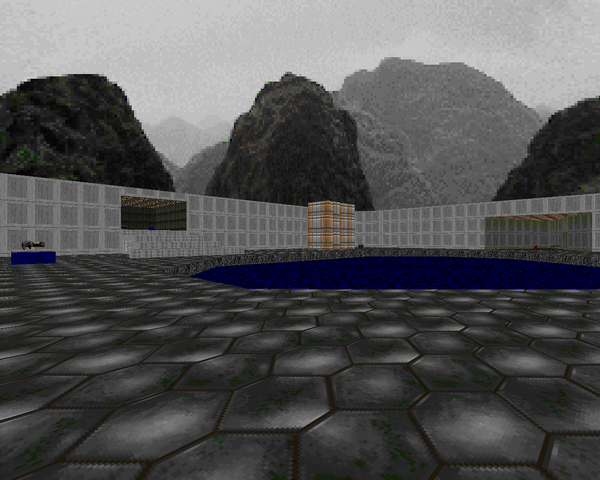 I wouldn't recommend BLT over his later works, but if you're interested in an ancient take on Doom's more abstract map style (especially that Shores of Hell fusion), you might give BLT a try. As for LAKE4, it's chiefly for enthusiasts of obscura, but if you were already interested in checking out BLT, you might as well give its companion a go.